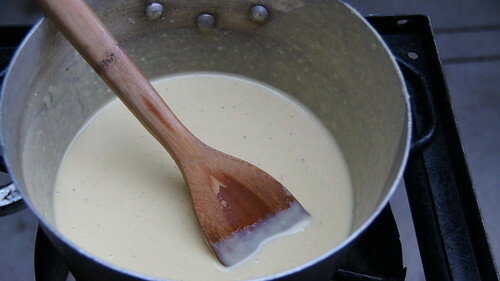 Mill City Cooks - Creamy Vegetable Soup - Mill City Farmers Market 2018 - Minneapolis Riverfront Neighborhoods. 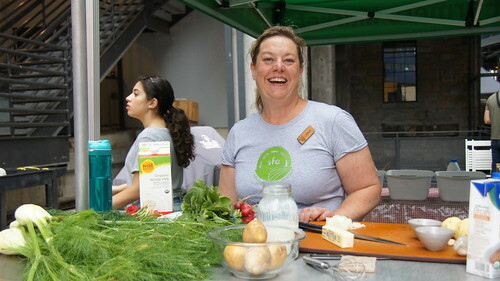 Mary Jane Miller from the Sustainable Farming Association (SFA) was the guest chef for the July 23 Mill City Cooks demo. This recipe calls for my favorite potato - Yukon Gold - which you can find at Burning River Farm. 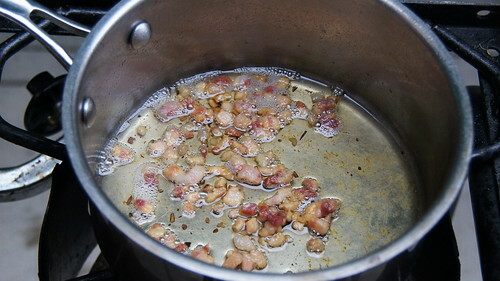 Additional Market ingredients include onion, garlic and other vegetables. 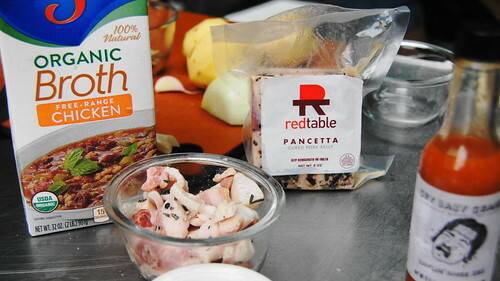 Pancetta from Red Table Meat Co makes a tasty garnish, and can also be subtituted for some of the butter in the recipe. 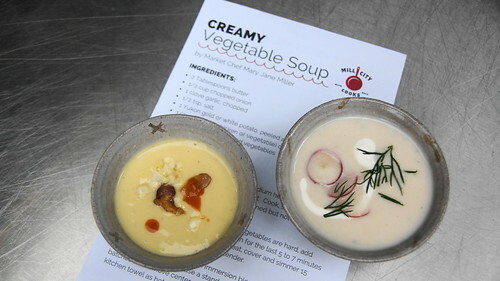 Mary Jane started what could be a soup flight using little bowls from art vendor Adam Gruetzmacher. 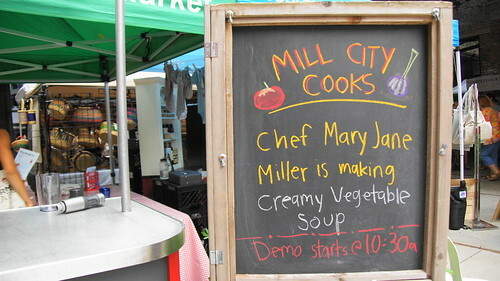 Recipes from the Mill City Cooks demos are available online. 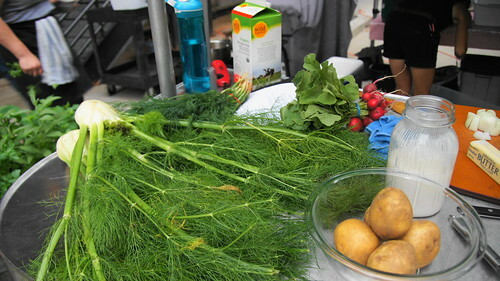 Thank you to the Wedge Community Co-op for sponsoring the Mill City Cooks demo program!